Bring Cape Town’s natural heritage to every occasion when you use your Pincushion tablecloth, which will grow softer with every wash. 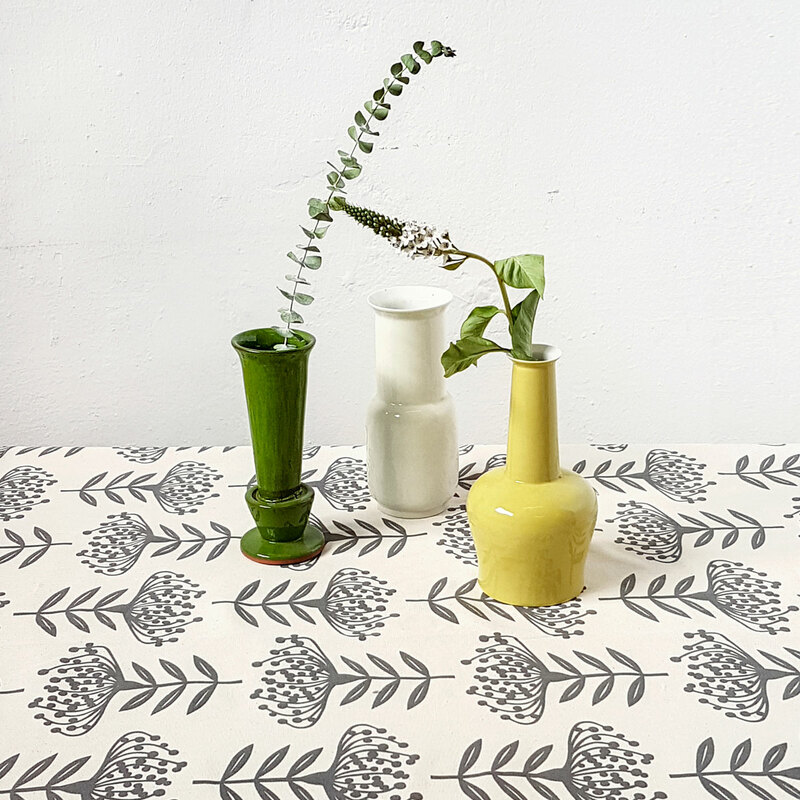 This design started out as a delicate paper cutout inspired by the beloved Pincushion Protea that grows on the slopes of Table Mountain in Cape Town. SIZES: Made to fit tables seating 4 to 14 people. See the dropdown menu below for the complete range of sizes. NOTE: We make runners and napkins as well, contact shop[at]skinnylaminx.com for a custom order. Please scroll down for manufacture and care details. Our designs are screenprinted on 100% cotton hopsack, using waterbased inks. We cut and stitch them with mitered corners in the studio above our shop, using top-quality materials and standards. Designed and made in South Africa. 4 Seater 170 x 170cm / 67" x 67", 6 Seater 170 x 200cm / 67" x 78", 8 Seater 170 x 250cm / 67" x 98", 10 Seater 170 x 300cm / 67" x 118", 12 Seater 170 x 350cm / 67" x 138", 14 Seater 170 x 400cm / 67" x 157"